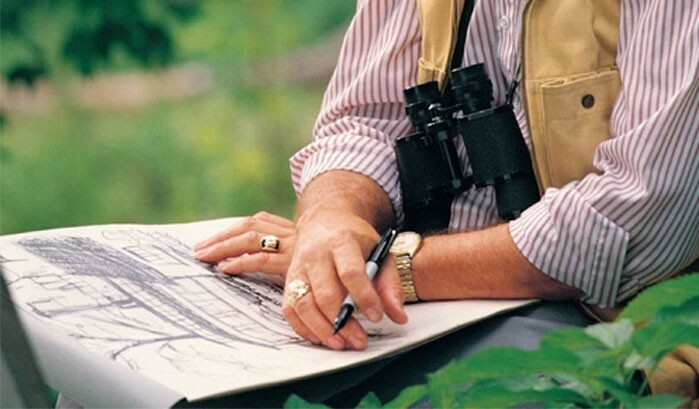 The Sketch Room features nearly 50 original, preliminary pencil drawings by Terry Redlin. Even though Terry never placed a high value on his pencil sketches, they were invaluable to him in the development of his ideas for new paintings. Near retirement, it became more important to Terry to share his painting process with fans. He wanted everyone to know that he did everything by hand—never with the assistance of a computer. He would begin each painting with a sketch, and from there, he would transition to oil on board. Many of his sketches illustrate subject matter that never made it into one of his original oil paintings. 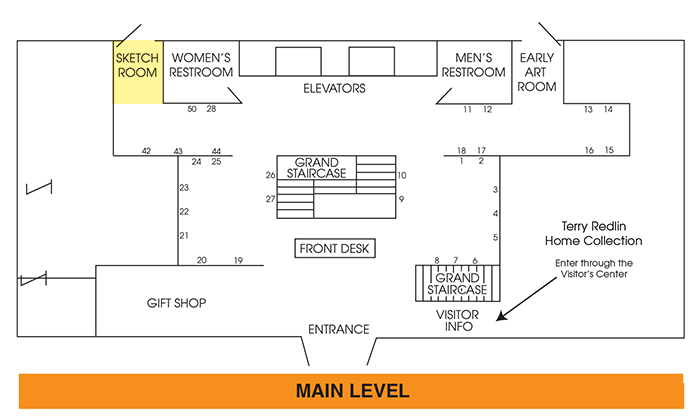 The Sketch Room is located in the back west wing on the main level. You can also view the location by downloading our gallery map.